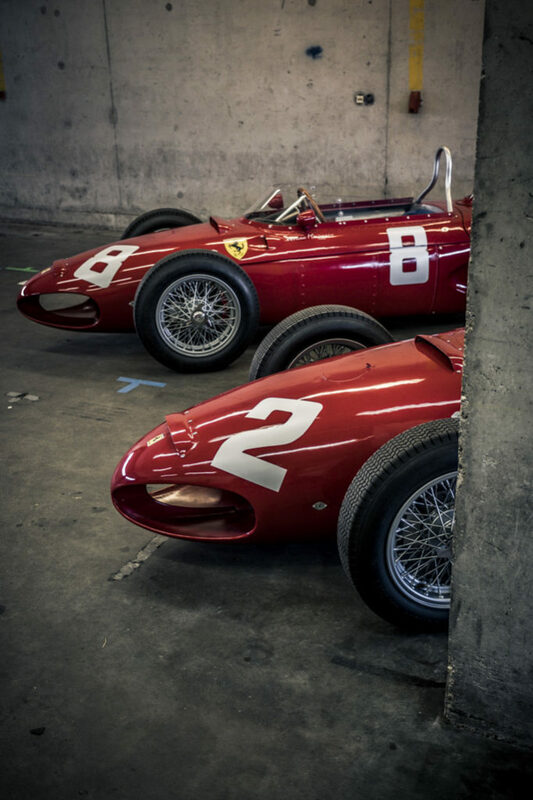 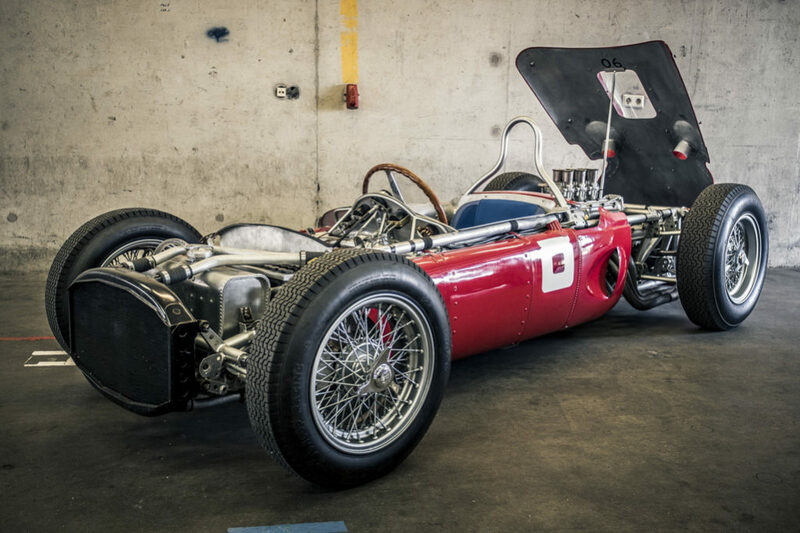 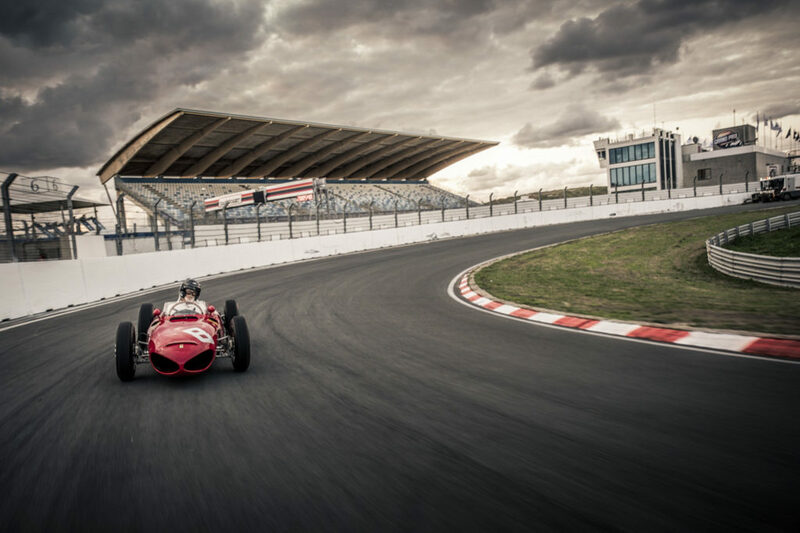 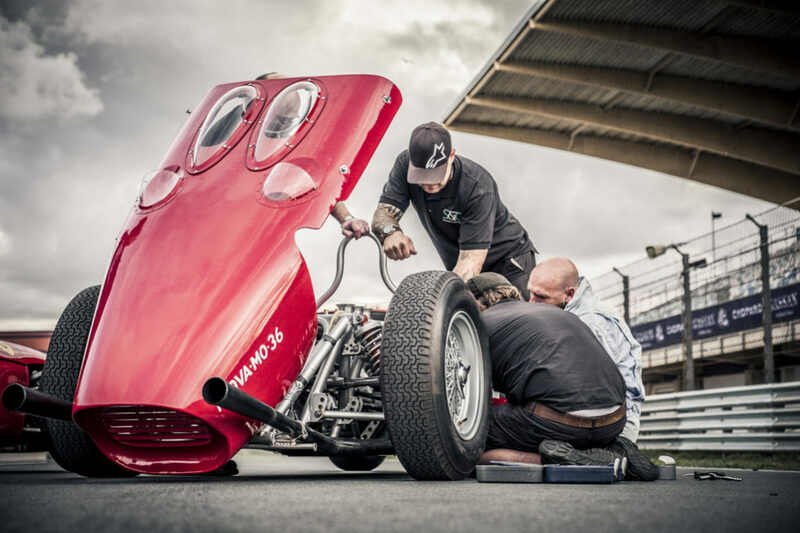 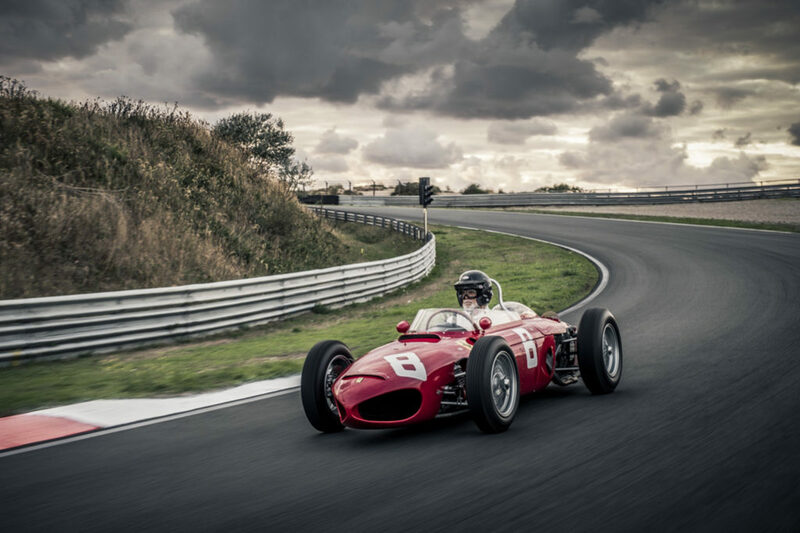 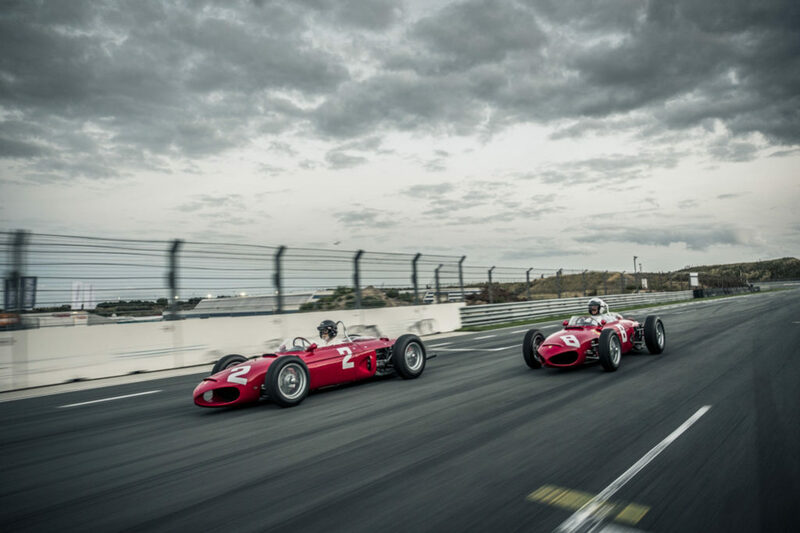 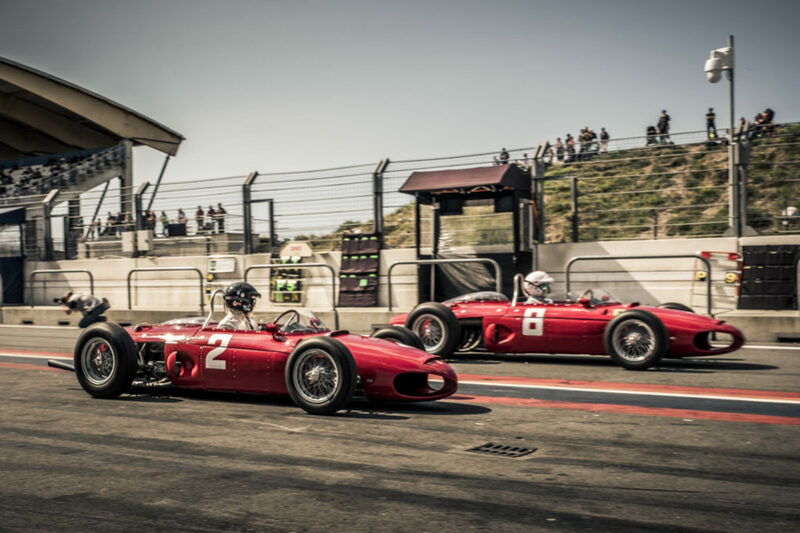 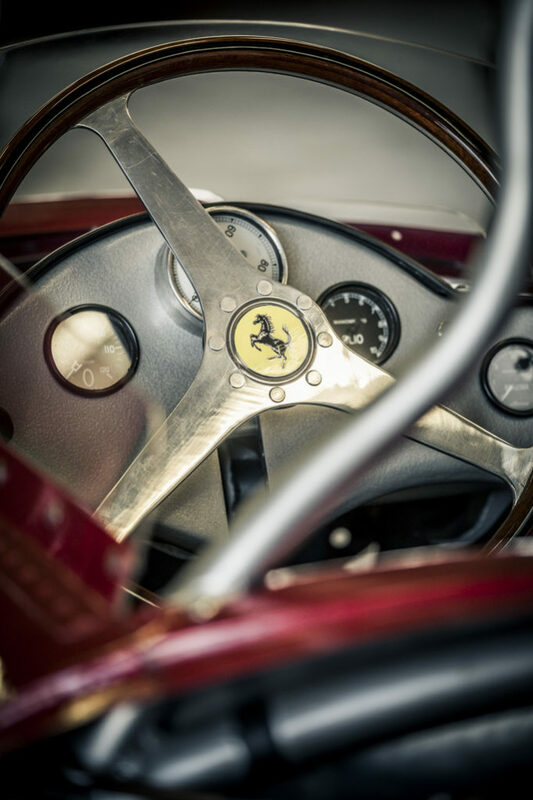 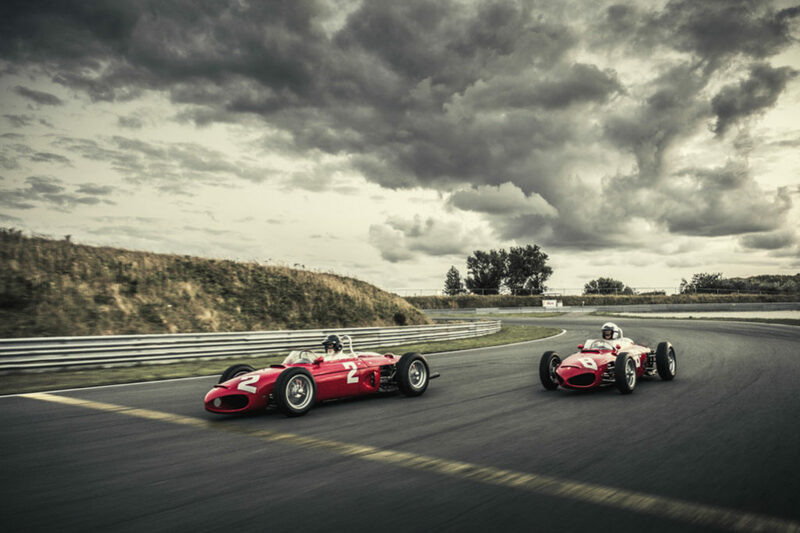 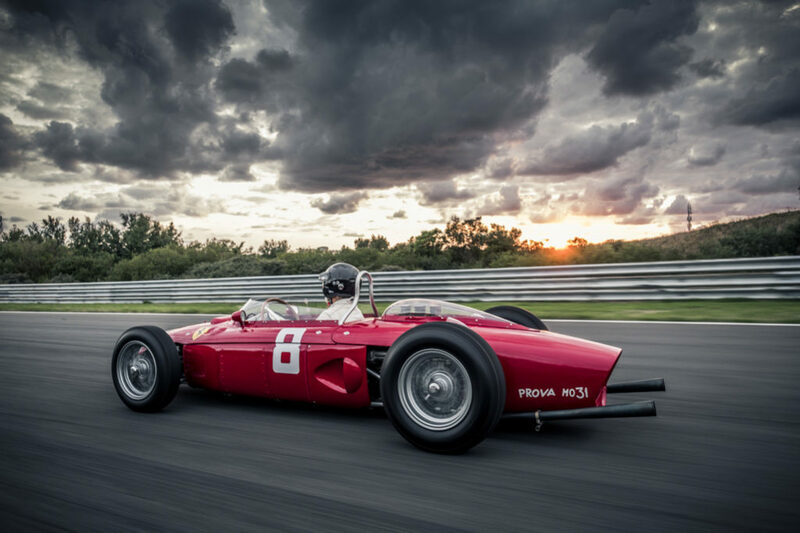 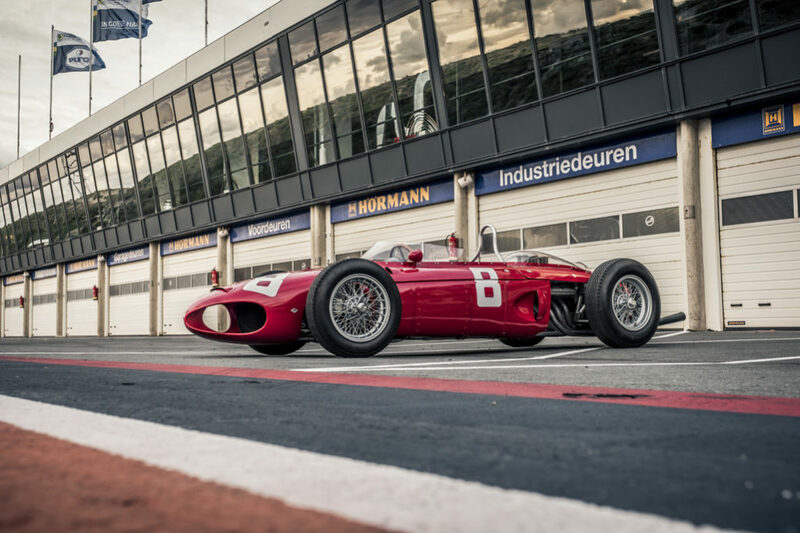 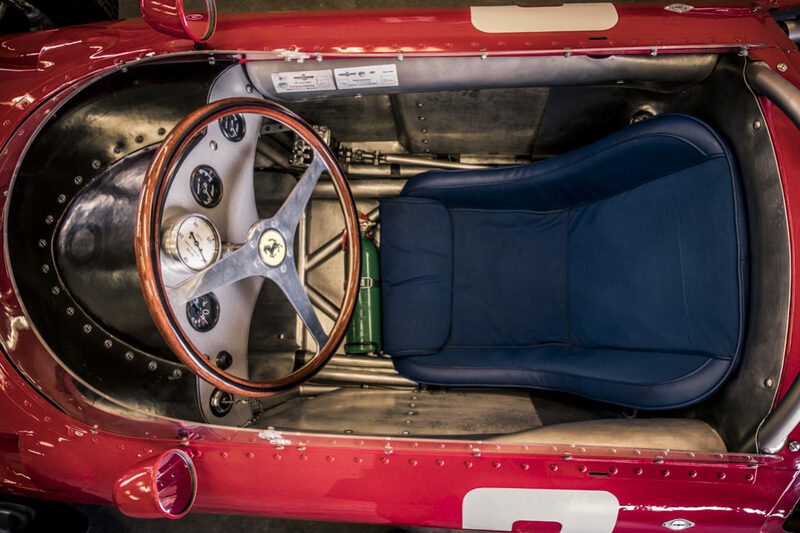 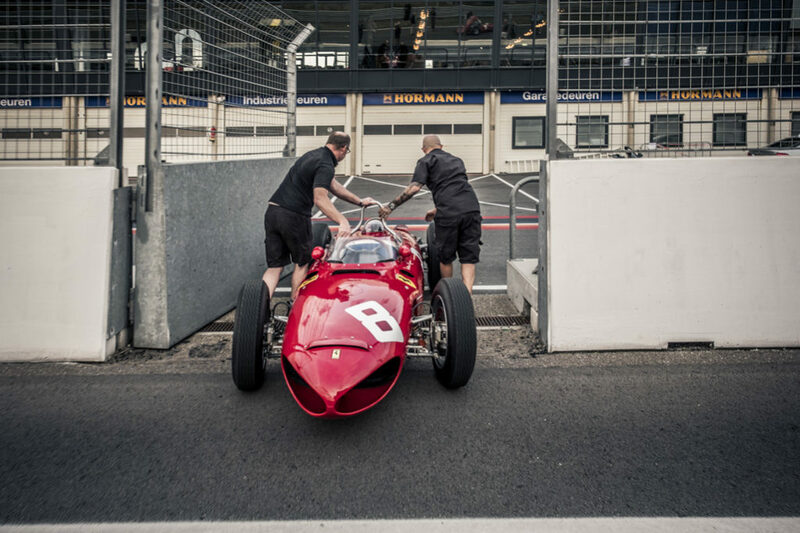 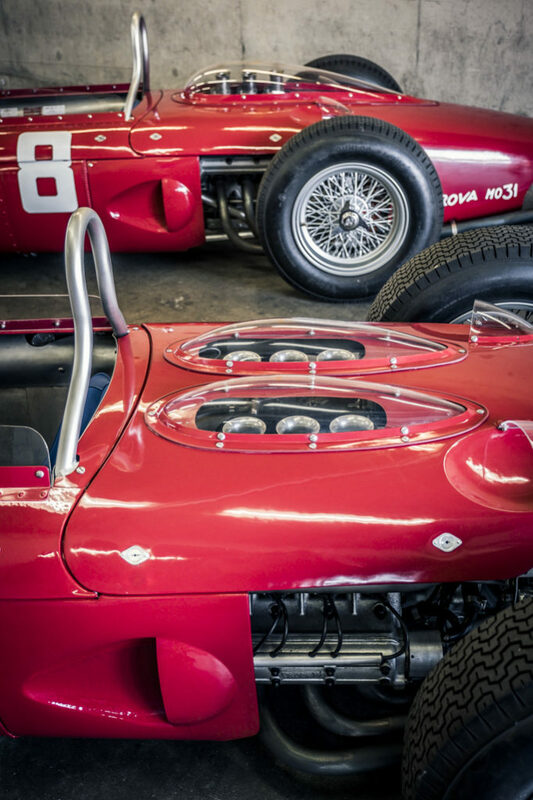 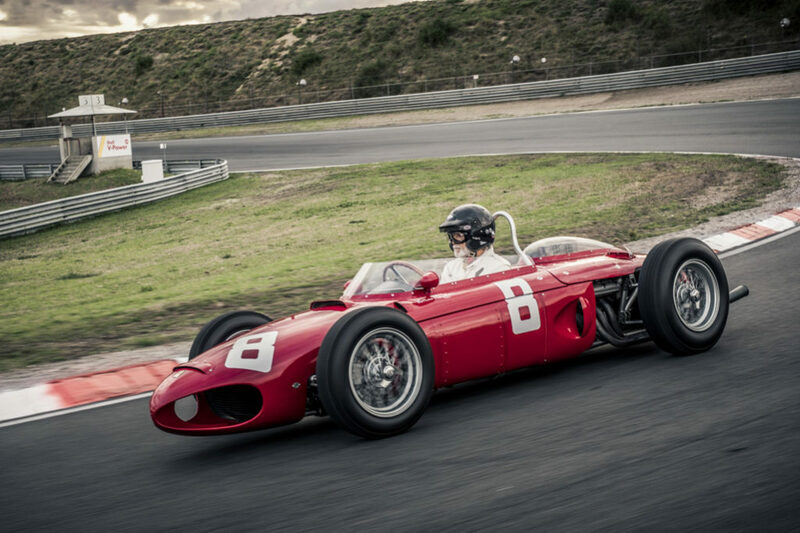 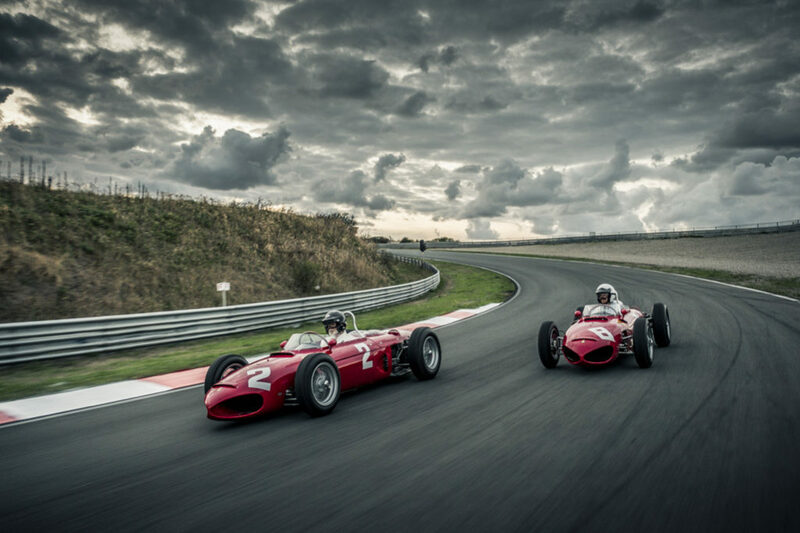 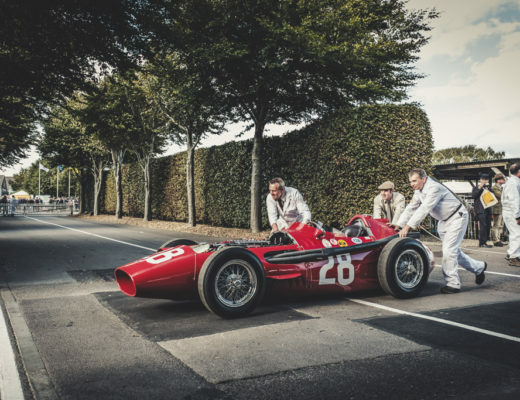 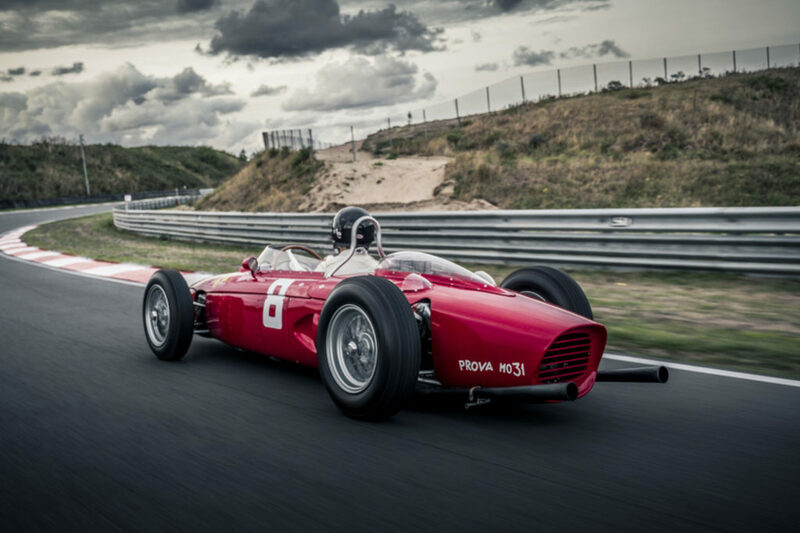 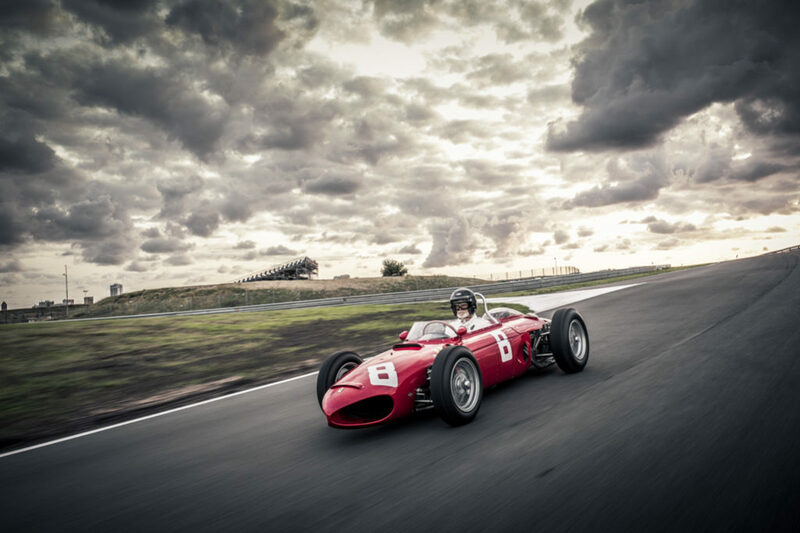 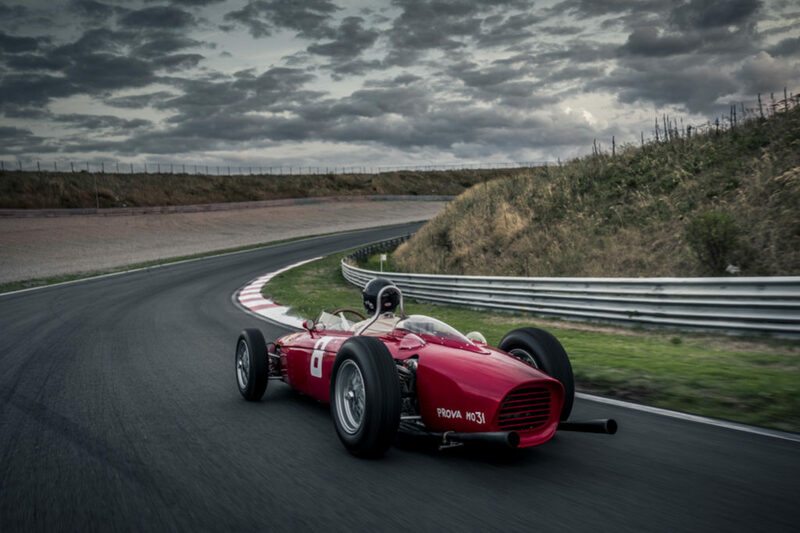 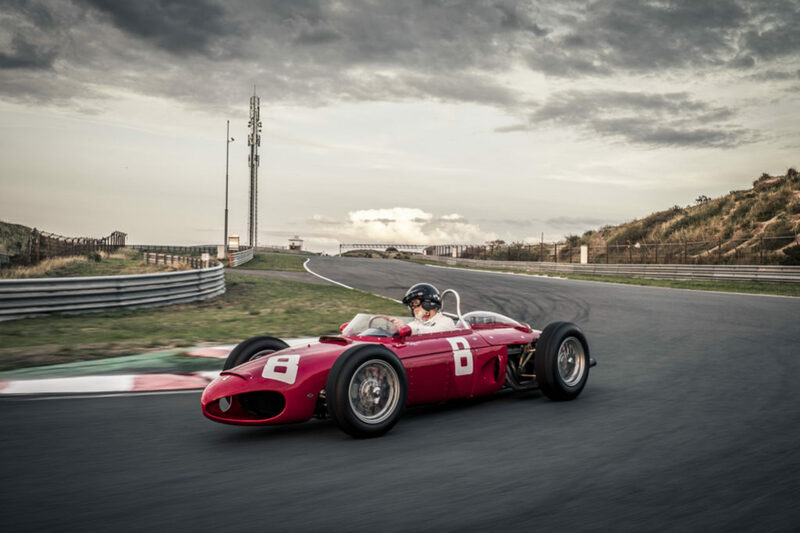 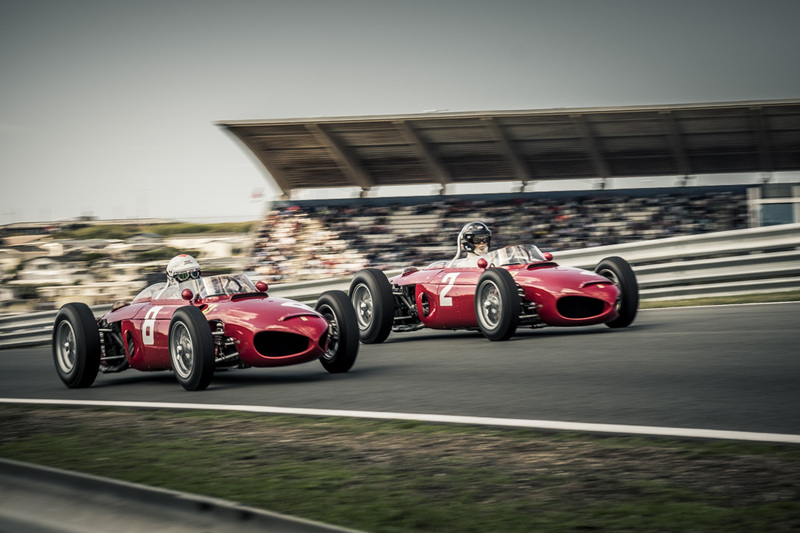 The Ferrari 156 was a racing car made by Ferrari in 1961 to comply with then-new Formula One regulations that reduced engine displacement from 2.5- to 1.5-litres, similar to the pre-1961 Formula Two class for which Ferrari had developed a mid-engined car also called 156. 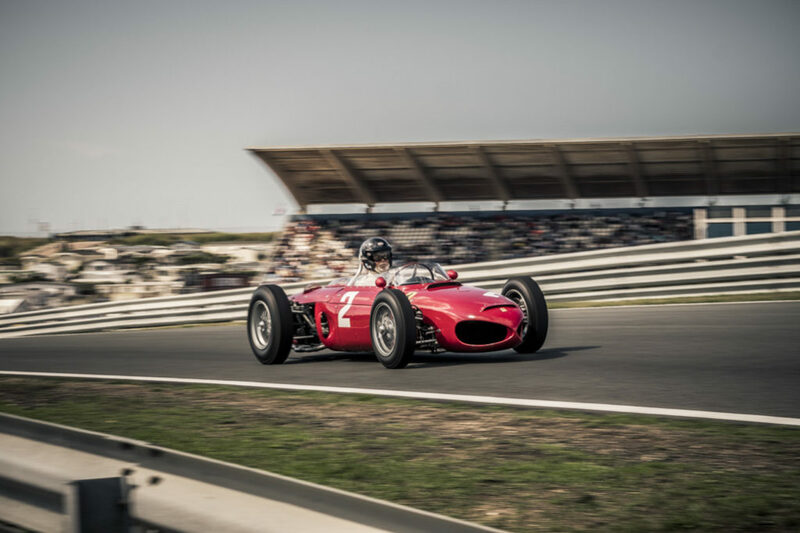 Phil Hill won the 1961 World Championship of Drivers and Ferrari secured the 1961 International Cup for F1 Manufacturers, both victories achieved with the 156. 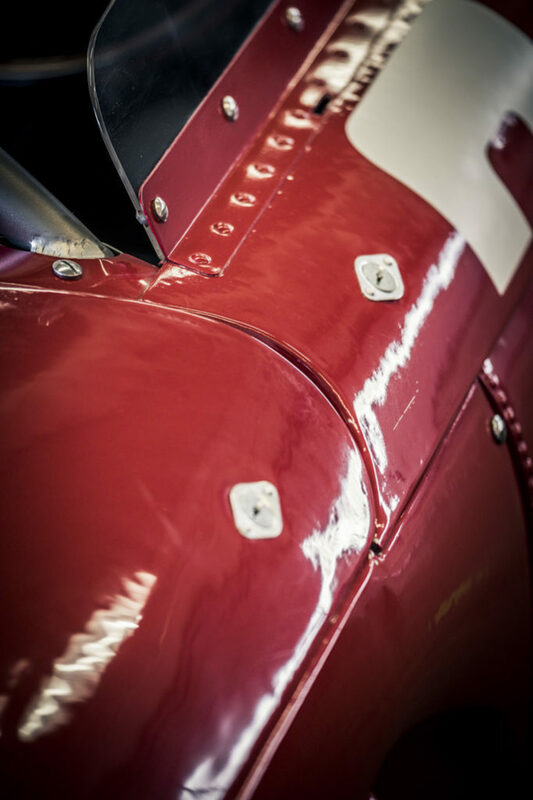 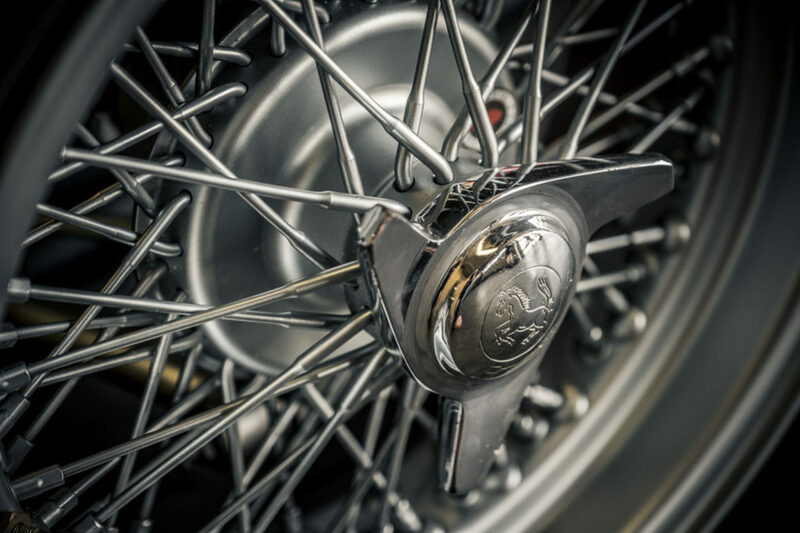 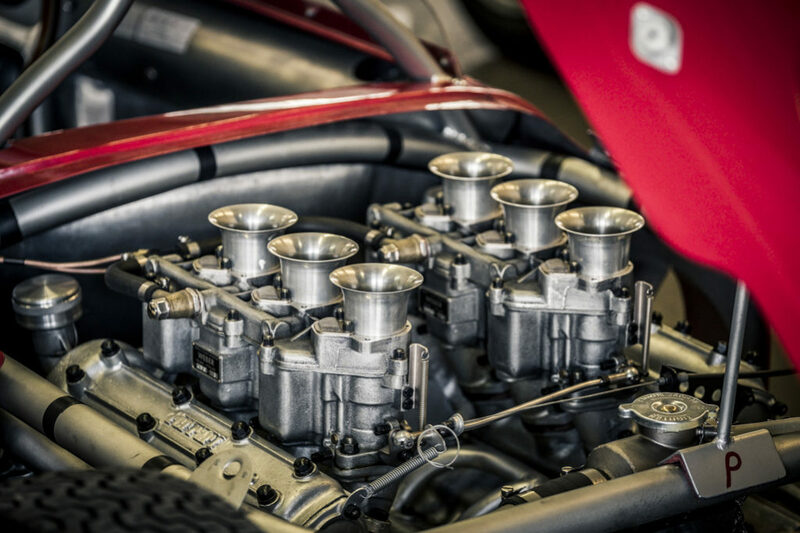 The 1961 version was affectionately dubbed “sharknose” due to its characteristic air intake “nostrils”. 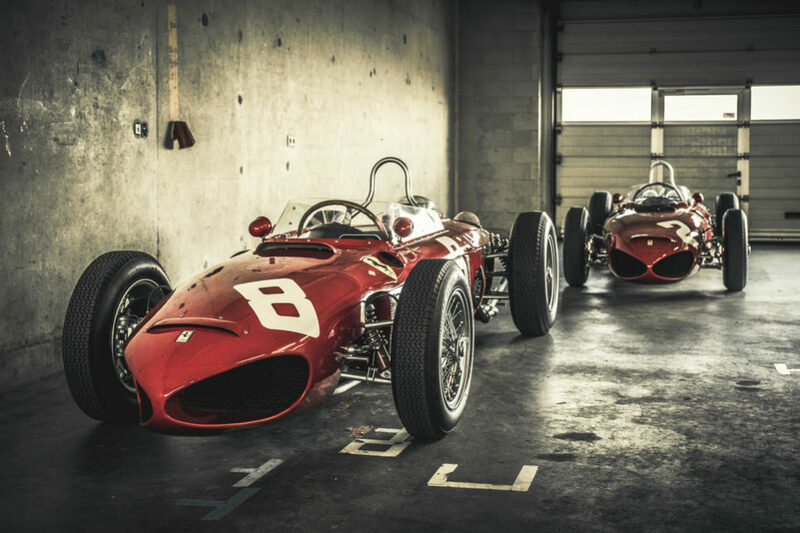 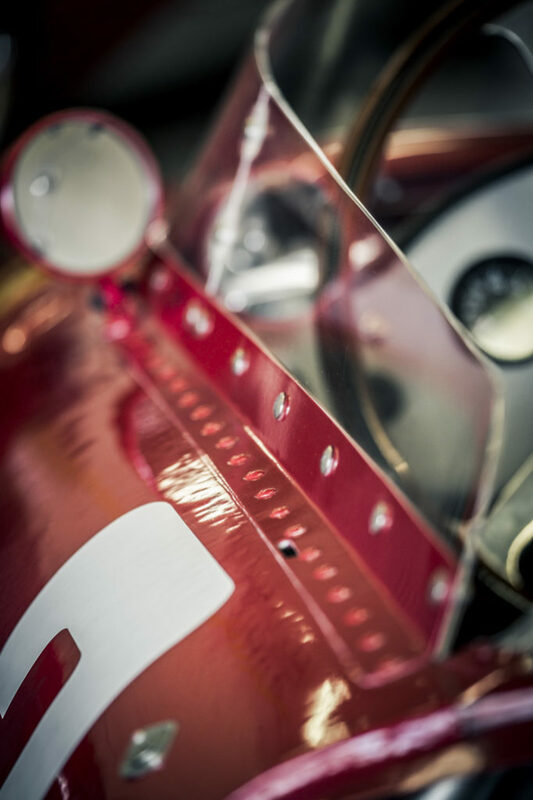 Then-Ferrari factory policy inevitably saw all the remaining sharknose 156s scrapped by the end of the 1963 season. 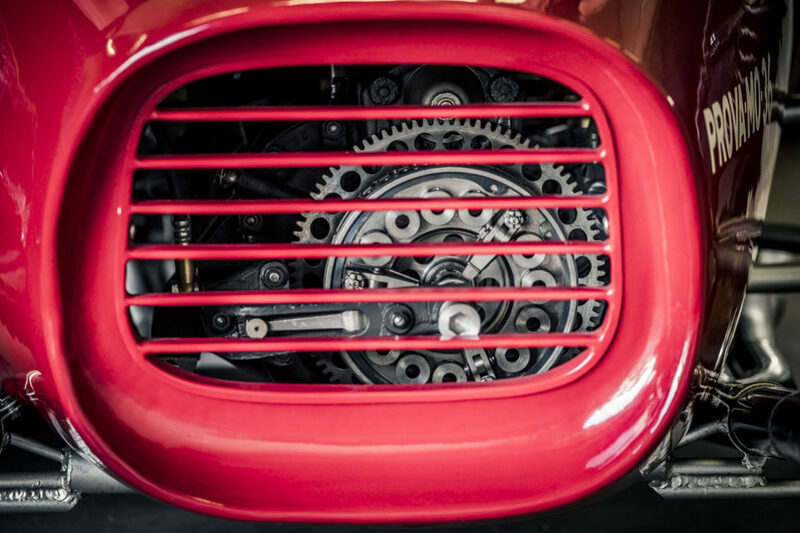 Nevertheless, such a 156 is exhibited in the “Galleria Ferrari” at Maranello, probably a replica. 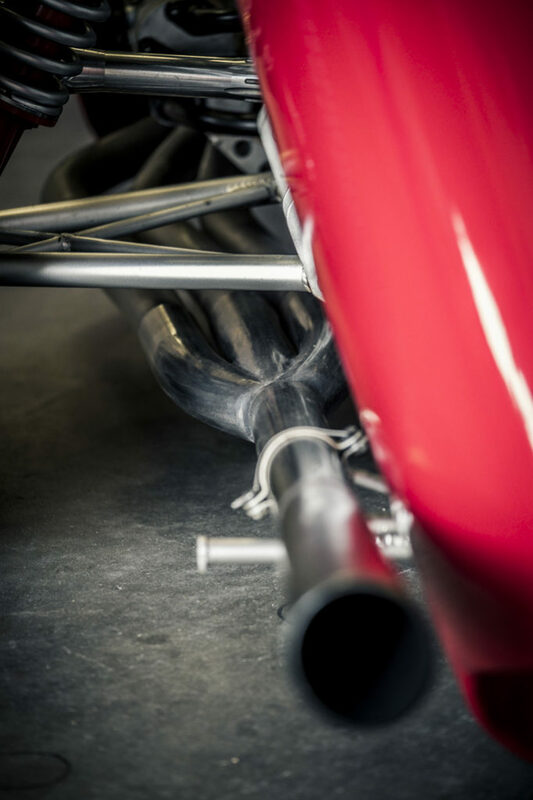 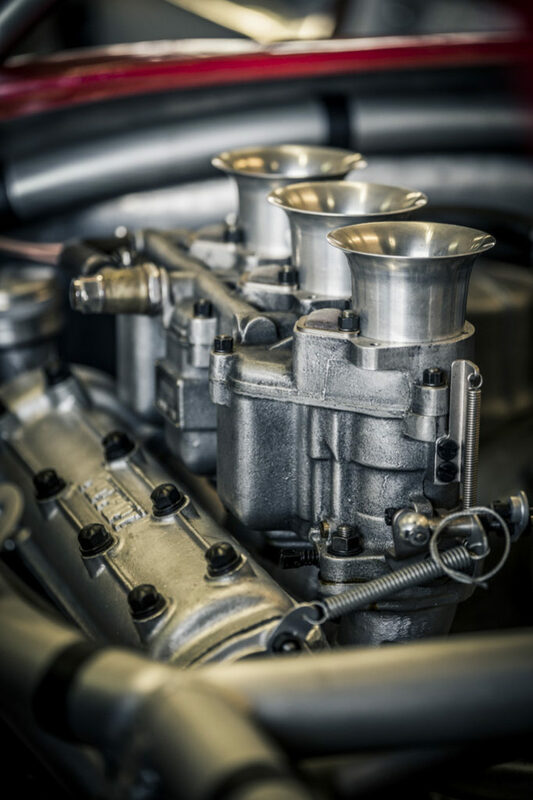 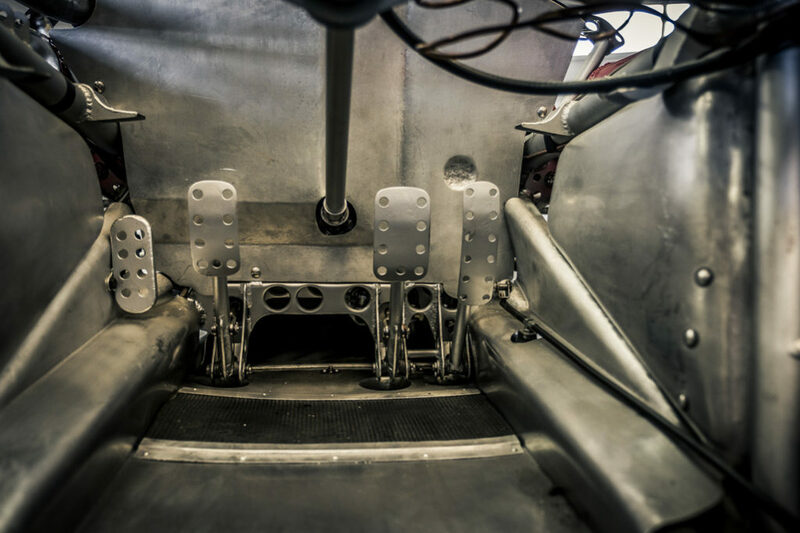 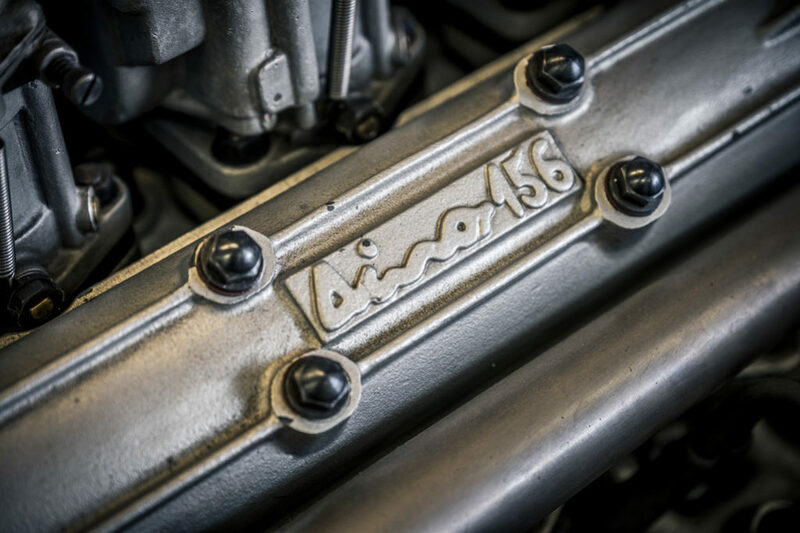 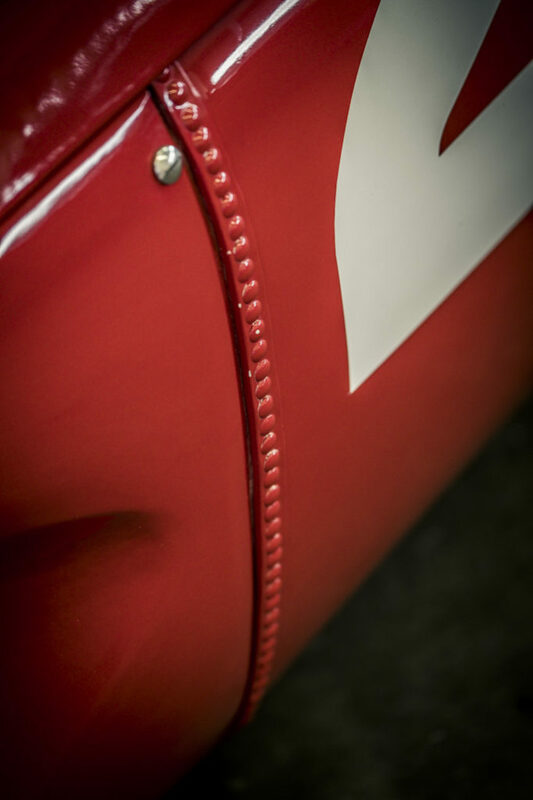 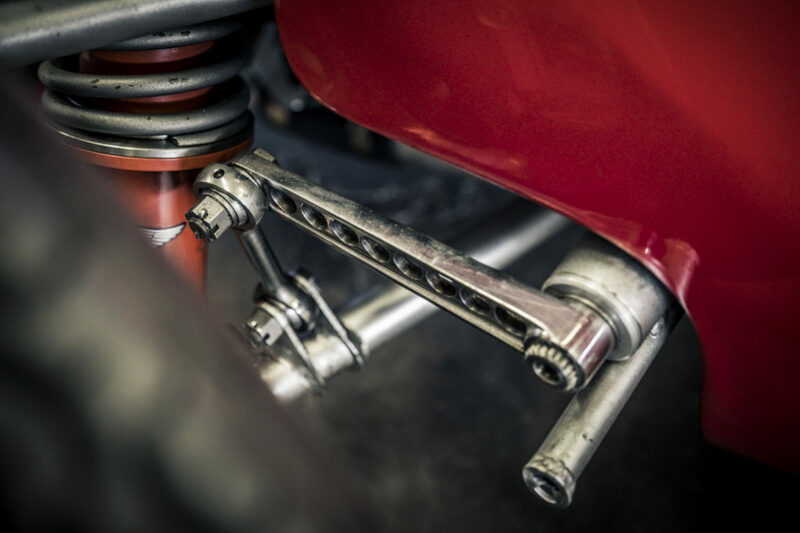 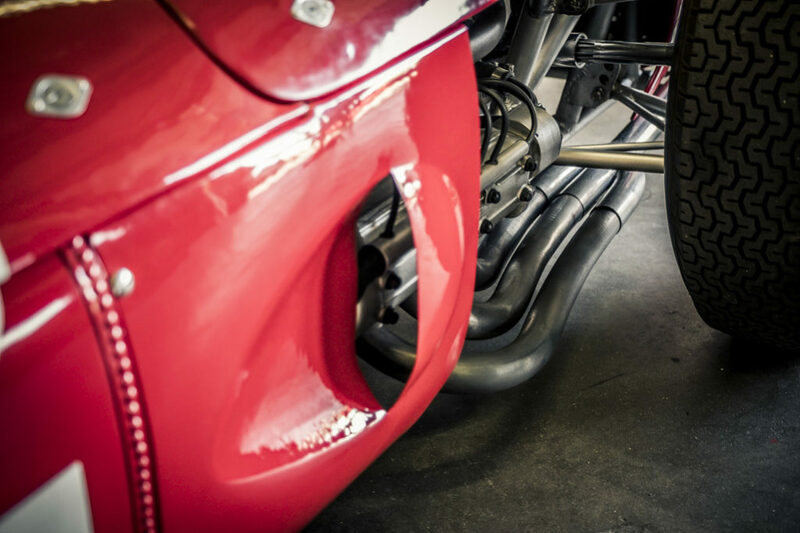 A similar intake duct styling was applied to the six SP series Ferraris in 1961 and 1962 that were also designed by Carlo Chiti, and then again over forty years later to the Ferrari 360. 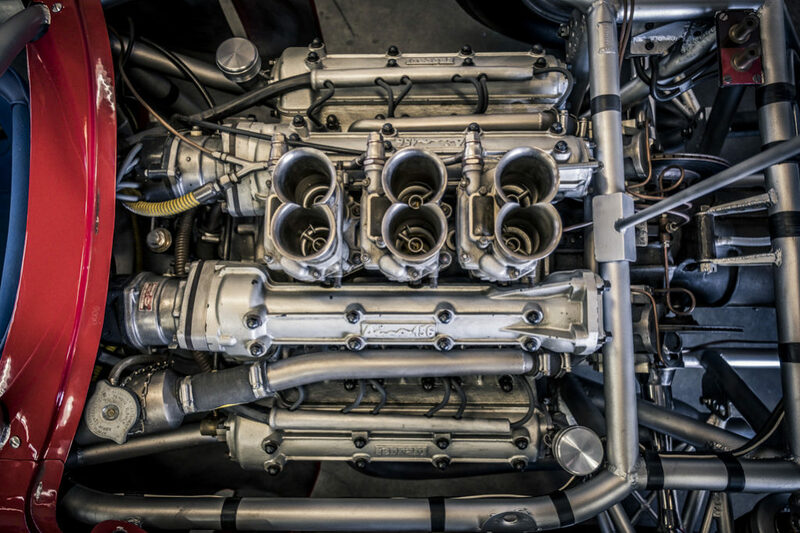 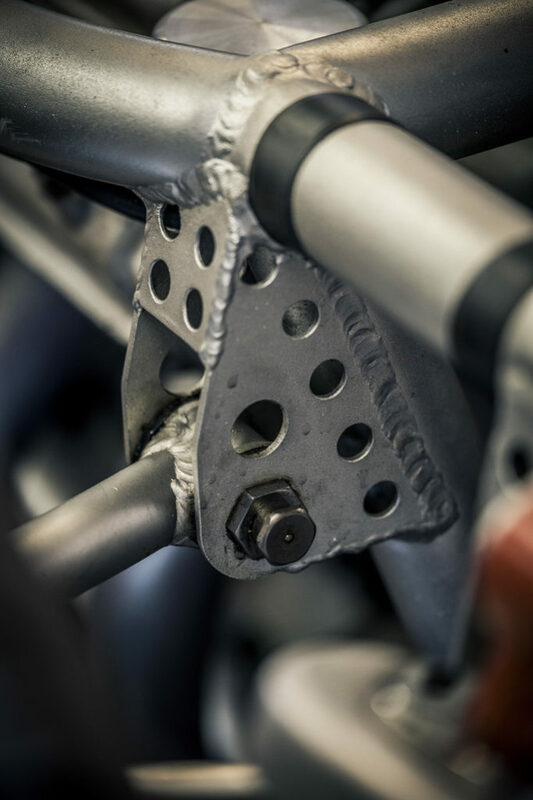 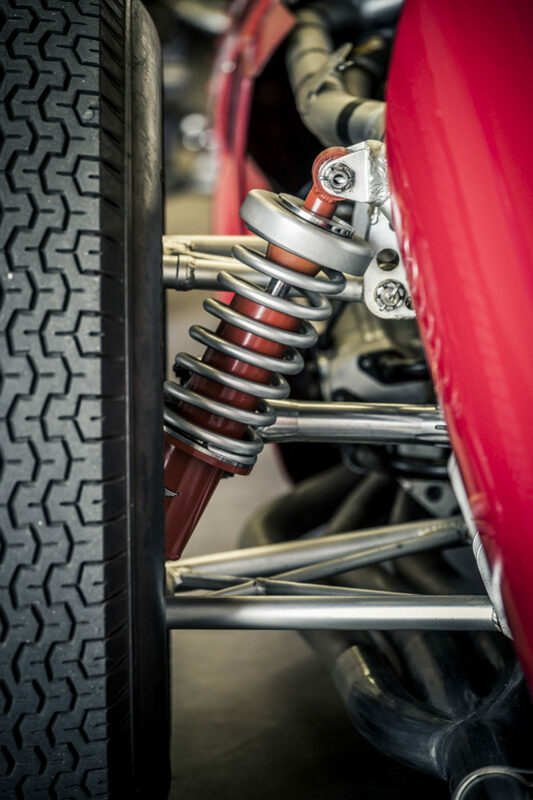 Ferrari started the season with a 65-degree Dino engine, then replaced by a new engine with the V-angle increased to 120-degrees and designed by Carlo Chiti. 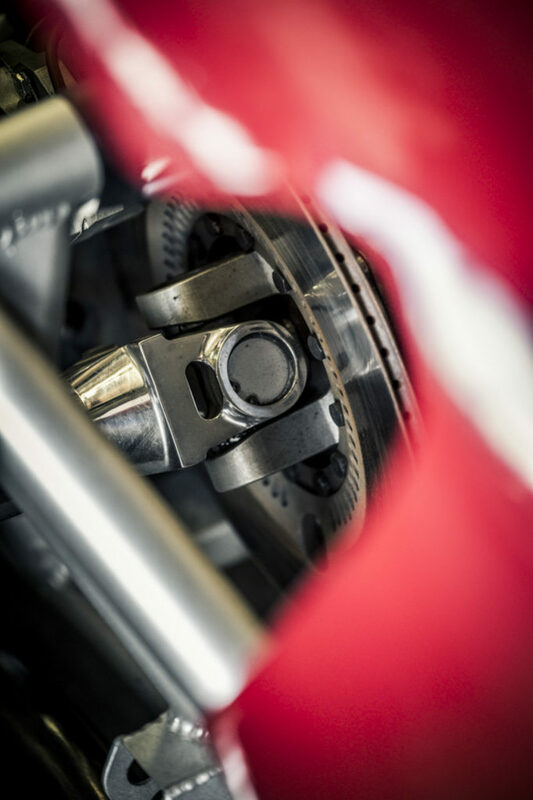 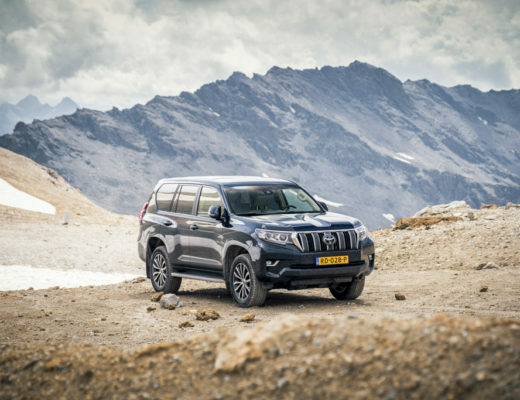 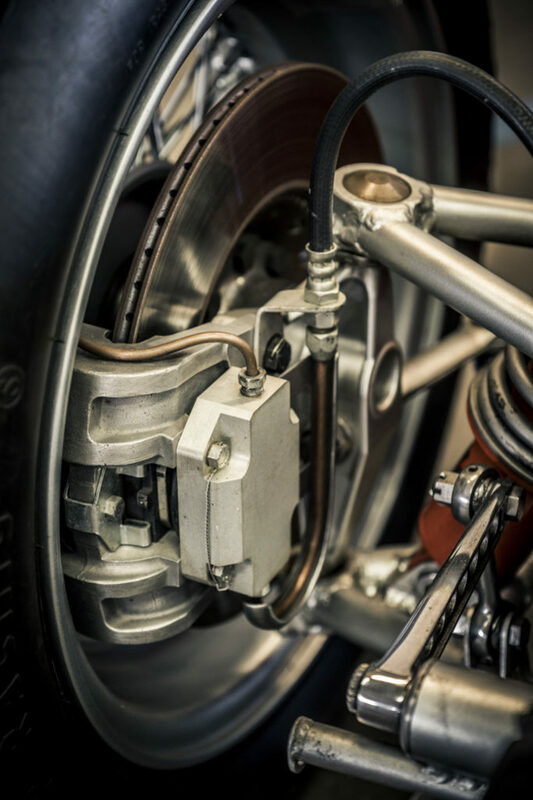 A V-6 engine with 120-degree bank is smoother at producing power because every 120-degree rotation of engine crankshaft produces a power pulse. 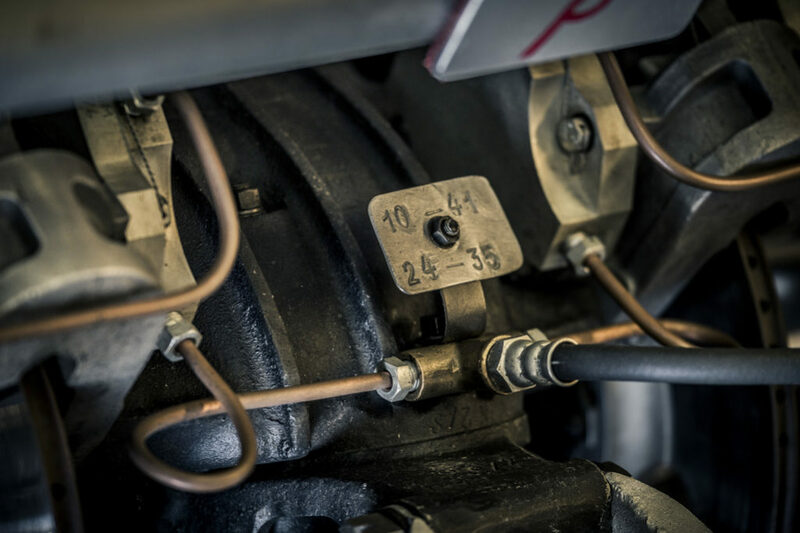 This change increased the power by 10 hp (7 kW). 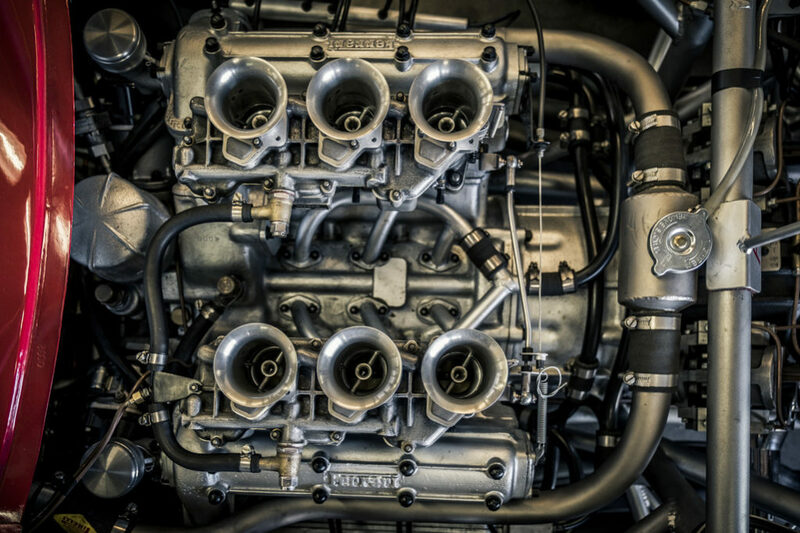 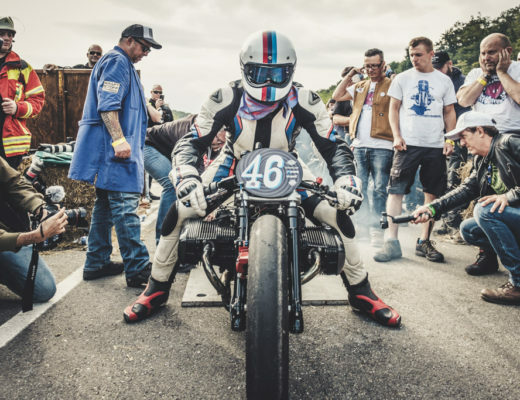 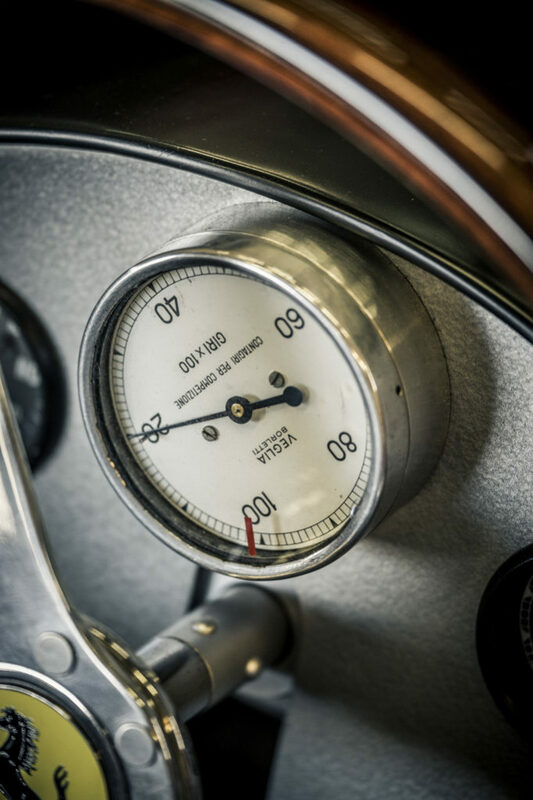 Bore and stroke were 73.0 mm × 58.8 mm (2.87 in × 2.31 in) with a displacement of 1,476.60 cc (90.108 cu in) and a claimed 190 hp (142 kW) at 9500 rpm. 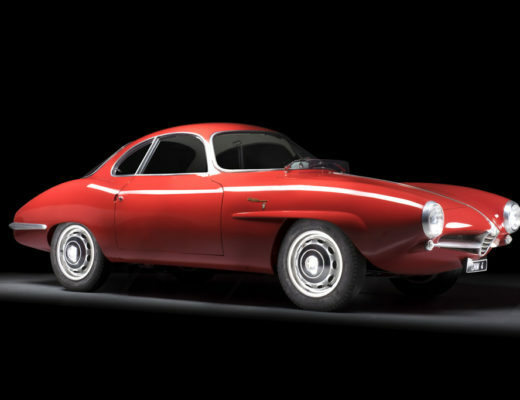 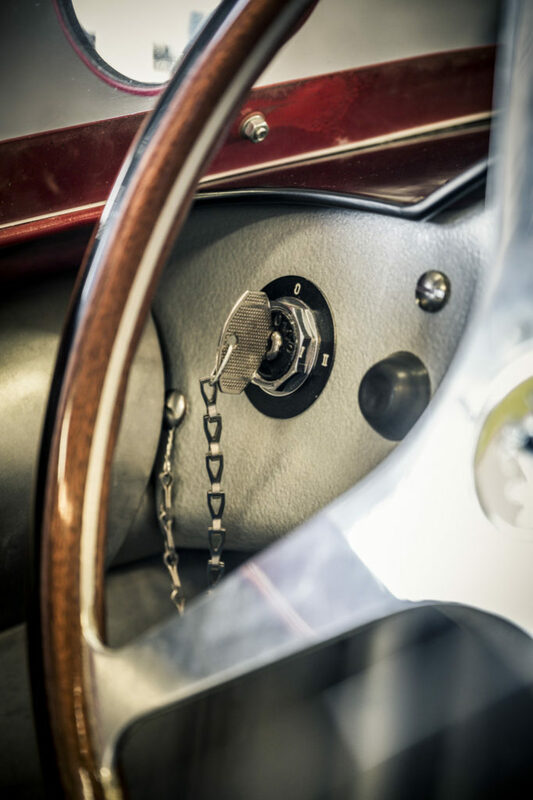 For 1962, a 24-valve version was planned with 200 hp (149 kW) at 10,000 rpm, but never appeared. 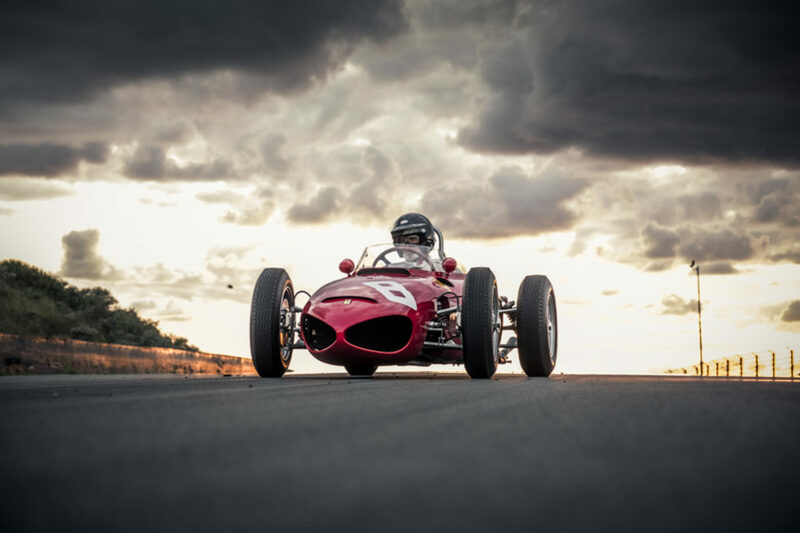 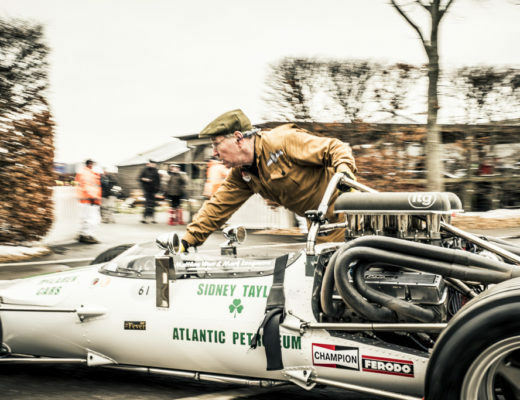 At the 1962 British Grand Prix, Phil Hill raced a new version with a six-speed transmission mounted in front of the engine. 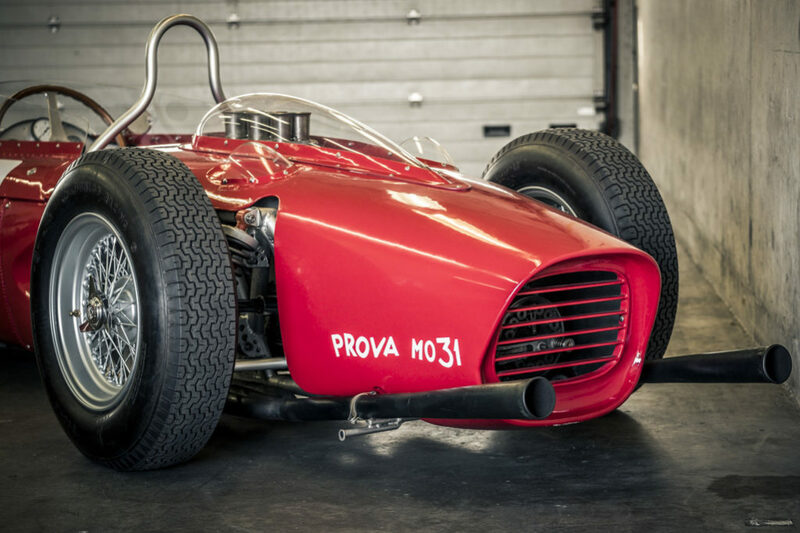 In August, at the German Grand Prix, Lorenzo Bandini tested a non-sharknose variant with modified front and rear suspension and a smaller radiator, heralding the 156 Aero used in 1963.